Mom made practicing as natural as eating a healthy breakfast, playing outside, or reading a book. It was simply something you did each day. No discussion. No debate. No drama. As such, I simply accepted it as a part of my routine. There was no focus on winning a competition or award. No concern about looking good on a college application. No talk of working toward a profession in music. Practice was integrated into my daily activities. No different than brushing my teeth or combing my hair. 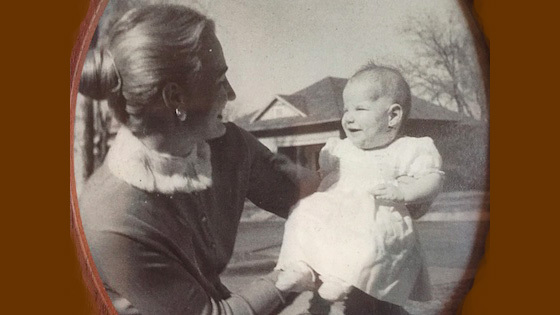 As I got older and had a child of my own, I was amazed at how my mother seemed to have figured out so many things about maintaining a family at such a young age. She was 19 when she married my father, and by the time she was 24, she’d given birth to her three children. She was the core of our family. The one who got us ready for school, cooked, cleaned, organized schedules, cared for us when we were ill, made sure we practiced. In short, everything. I mentioned this article was designed to be a Mother’s Day present. But in the twisted way the universe has of reminding us how little control we have over life, my 86-year-old mother went into the hospital on Mother’s Day. She passed away 14 days later… peacefully, with my father, her husband of nearly 67 years, at her side. I am one of the lucky ones. I had my mother for over 61 years. She was at every important event in my life and witnessed my greatest joys and heartbreaks. But I am selfish. I still want more. And I don’t want just one more day with her. I want a thousand more. And when those thousand are done, I’ll want a thousand more. There is, alas, a natural order to life and death that I have come to accept in these weeks since her passing. While it’s only too clear to me that most of what happens in life is outside my control, there is great comfort in going into my den (sans egg timer), opening my violin case, and seeing the beautiful red satin cover my mother made for me when I was a little girl. She sewed a “D” on the coverlet in the loving manner she did all things. My violin has become a source of strength for me in recent years, and even more so in recent weeks. I thank my mother for making me practice all those many decades ago. Her vigilance allowed me to become proficient enough to truly enjoy playing, which affords a wonderful emotional release. The opportunity to collaborate with other musicians is a blessing, in every sense of the word. Oh, and it truly will. I loved reading this and was so very touched. Touched because in reading this I have come to know just a little bit more about an aunt who I never really got a chance to know very well in person. Touched, also, because the sweet motherly sentiment you expressed reminded me of my own dear mother. And you remind me of just how precious the time you have with your mother really is. It's been 32 years since I've had my mom here with me, and I can say that it truly is those wonderful memories that you hold so dear that will keep her with you as the years pass. And the poem you incuded at the end resonated with me and brought tears to my eyes. Thank you, cousin Diana, for sharing! June 25, 2018 at 10:51 AM · I hugged each of my four young sons a little tighter last night after reading your article. Your mother is surely proud of this one with its solemn, profound beauty. You are an inspiration. Condolences, my friend. June 25, 2018 at 01:28 PM · I am so appreciative of the incredible and moving comments, Betty, Christina, and Melissa. Thank you so much! You've left me speechless - thank you for writing this lovely and oh so tender tribute to your dear mother. June 27, 2018 at 05:32 AM · Thank you for your post! June 27, 2018 at 03:05 PM · You are so welcome, Robert! You and Laurie have created an amazing community on violinist.com and I am proud to be part of it. June 28, 2018 at 03:21 AM · Very touching tribute to your mom, Diana. I have a poster in my teaching studio with a background photo of discarded toys that says, "Long after the toys of childhood are gone, the gift of music still remains". Your mother, among many other things, truly gave you that gift. June 28, 2018 at 04:58 AM · Diana, I have read many posts in which readers share their love of music, their instruments, and their teachers. Yours went one step deeper, and said what many of us felt but couldn’t find the words to express it. Thank you for sharing your deepest thoughts with us in a very humble and gentle way. June 28, 2018 at 01:27 PM · What a beautiful emotional article that was Diana. We have so many similarities in our two lives, music being the largest part. My mother was a marvelous concert pianist and taught me how to play the piano when I was 6 or 7. Alas, here are the differences. My mother did use draconian measures constantly including forcing me to practice every day, sometimes by pulling me by the hair into the living room where our gorgeous Mason & Hamlin grand piano was. I have a whole other story about that piano! That was accompanied by incessant yelling! I can still feel it! I can still hear her! So, our stories are slightly different Diana. I'd so much prefer to have your memories. However, I went on to play clarinet and oboe also in high school and music has become the central character of my life. I met my wife playing for a show that she sang in. Ah, the power of music! June 29, 2018 at 01:07 PM · Dear 54, 252.150, and 42.150: Thank you for your beautiful and heartfelt comments. They truly mean the world to me! I struggled with whether to complete this article. You made me so glad that I did.